It’s the most wonderful time of the year! 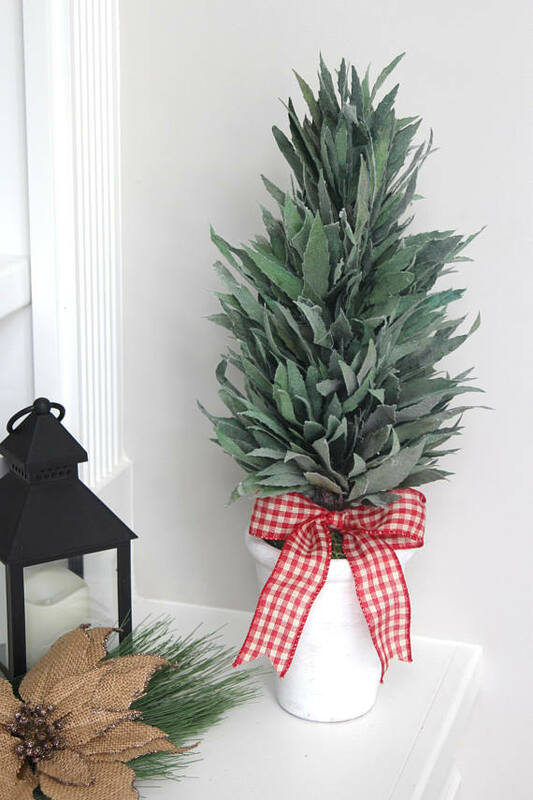 I’ve been pulling out old Christmas decorations for a few weeks already, but I love purchasing just a *few* new fresh things every year. 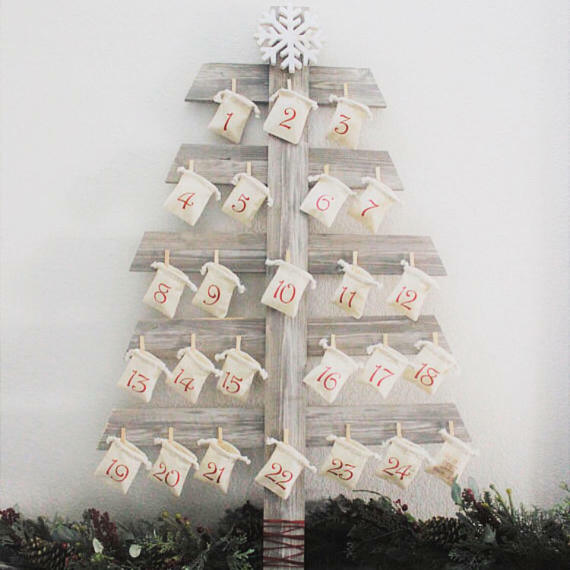 Here’s my most favorite handmade finds – they’ll help you design your beautiful farmhouse Christmas home this year. This post contains affiliate links for your convenience. 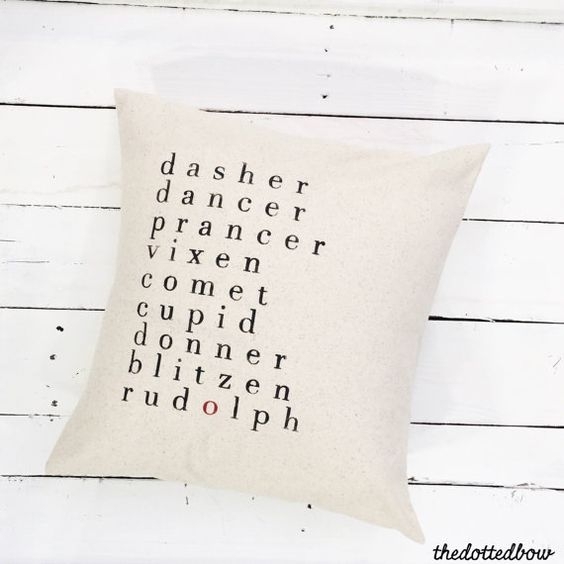 Pillows are absolutely my favorite way to change out my home decor with each season! 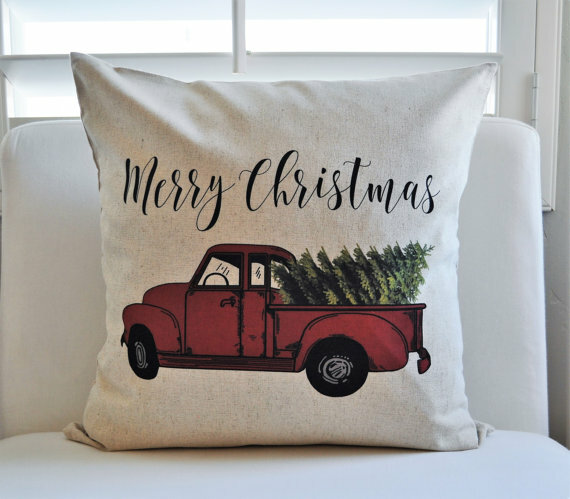 How cute is Christmas truck pillow? 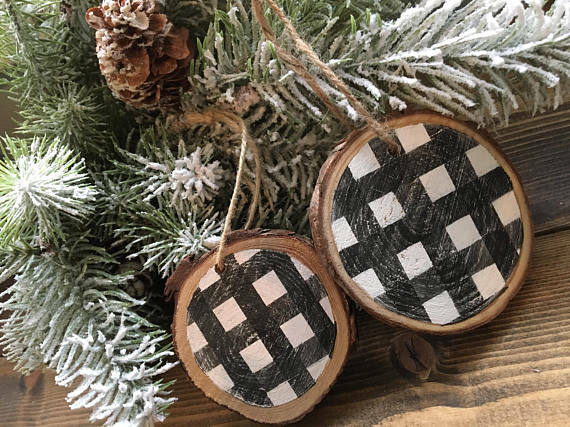 The simplicity of this pillow is darling – I think it would look great paired with these buffalo check pillow covers (that are under $8) too! 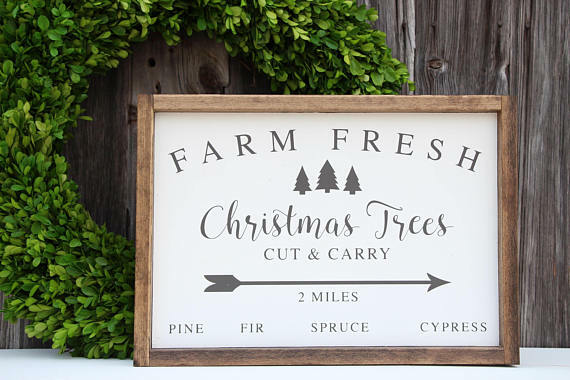 One of my favorite ways to decorate through the seasons is with different signs – this one is beautiful and also super customizable. 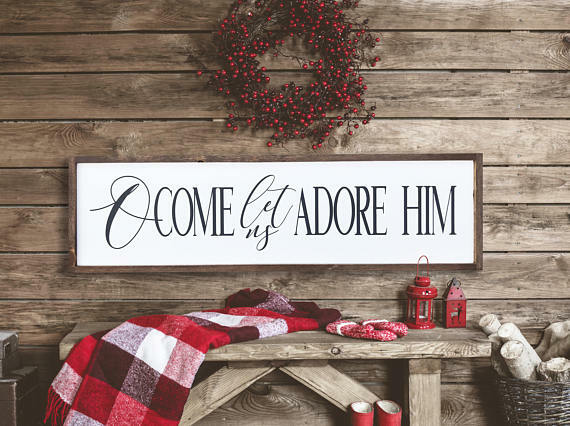 This sign is just so sweet!! It could really go anywhere. 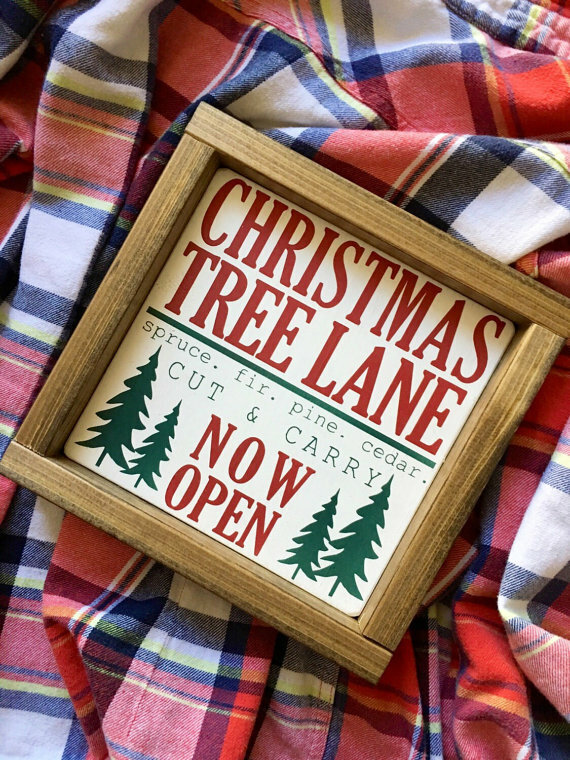 I also love this sign – the shop has so many other options too! Ok these ornaments are TOO CUTE! I’ve never seen ones like these – and the price is great! This topiary is beautiful & so unique! 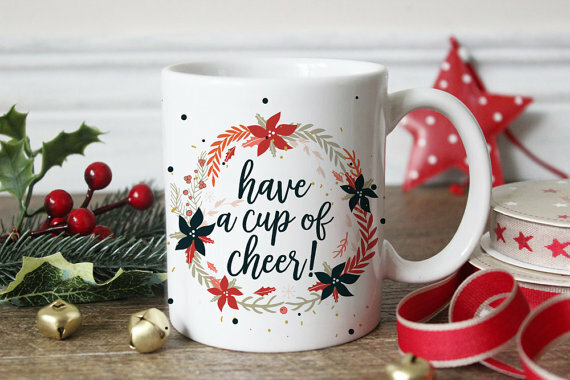 I’m a huge fan of fun mugs – this cute one is in my cart as we speak! 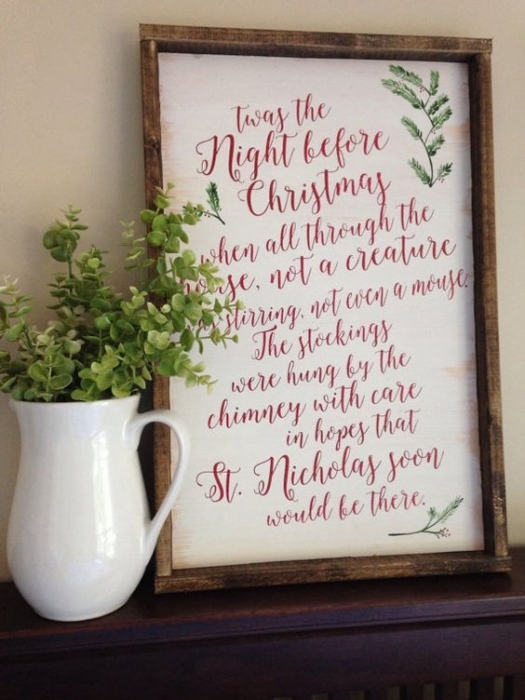 There’s a LOT of adorable & affordable Christmas mugs on Etsy – see my picks here! If you like this post – pin it here! I can’t link to specific items through their site since they are usually only on sale for a few days at a time. But if you subscribe to their e-mails, you should be able to see their deals as they happen! 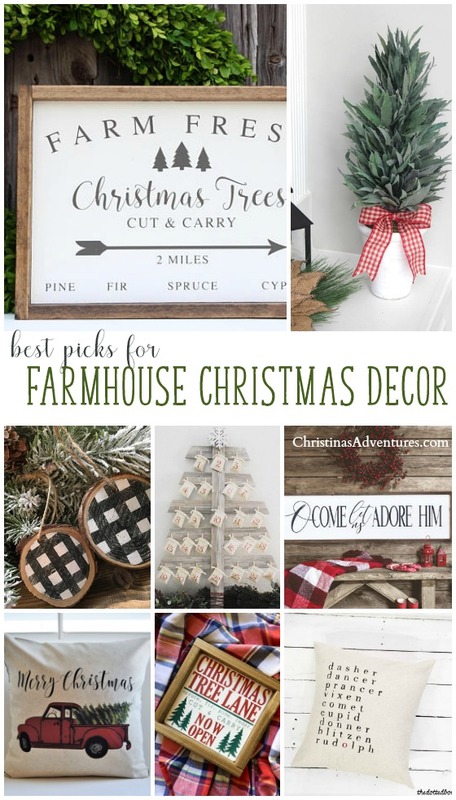 If you like these farmhouse Christmas ideas, you should check out my tips on the best online sources for farmhouse wreaths here!